Hyundai’s next launch in India is going to be the new Elantra sedan, test mules of the car were spied testing last month and the car will see an official launch within the next three months. But is it equipped to stand up against its competition? Let’s find out. Here we do a quick comparison of the upcoming Hyundai Elantra diesel with one of its chief rivals, the Chevrolet Cruze diesel. We haven’t had the opportunity to drive the new Elantra yet but it will be hard for the Elantra to compare with Cruze in terms of performance and handling. The Elantra has a 1,582 cc engine that makes 127 bhp of power and 260 Nm of torque. The Cruze on the other hand has a larger 1,998 cc engine that makes a massive 164 bhp of power and 380 Nm of torque. The Cruze offers a sporty ride which makes it fun to drive but the Elantra will likely be tuned to offer a comfortable ride to rear seat passengers rather than driving pleasure. So the Cruze is a clear winner in terms of performance. Also read: Hyundai Elantra for India: Spy photos! In terms of space the Cruze will likely loose out to the Elantra as the rear seats of the Cruze aren’t very comfortable. The Elantra may have an edge in the comfort department. However it will be trade off between space and comfort as the Cruze is longer, wider and taller than the Elantra. More can only be said after an in depth road test. In the looks department it’s a close call as both the cars are good looking. 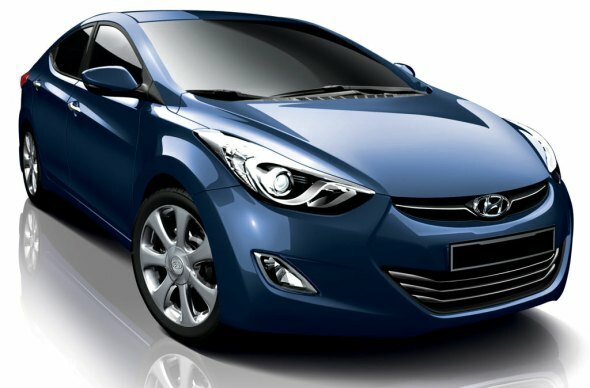 While the Cruze is aggressive and masculine the Elantra is more sleek and elegant. It depends on personal taste than anything else. The Cruze might appeal more to those who find the Elantra’s design to familiar and similar to the Verna. The Cruze is priced between Rs. 13.85 lakh and Rs. Rs. 15.67 lakh and has a claimed mileage of 14-17 kmpl depending on whether it’s an automatic or a manual variant. The Elantra will become more attractive if it is offered at a price close to if not lower than the Cruze and also has a good mileage figure. While the Cruze still seems very attractive thanks to its new and powerful engine, the Elantra may just cut it for those looking for a sedate sedan with a comfortable ride. The Cruze with its new engine is still a better bet as it is much more powerful and fun to drive. While the Elantra has more features and will likely be more comfortable. As of now the Cruze still seems to have the edge, let’s wait for Hyundai to announce more details and do a full fledged road test before we pass a final judgment about the Elantra.